Bowser attacked the castle of the princess peach next to Magikoopa and his son Bowser Jr., but this time he had the brilliant idea of locking all the doors of the castle with the stars of Rosalina and entering a dimension of the castle with the princess, So Mario could not save his precious princess but he was foolish to let some stars fall into secret places of the castle, but the Toads who took refuge to the castle found a star and called Mario to save the princess. And now Mario has to save Princess Peach and return the stars to Rosalina. -Launch a star by collecting all 3 stars coins of the level! 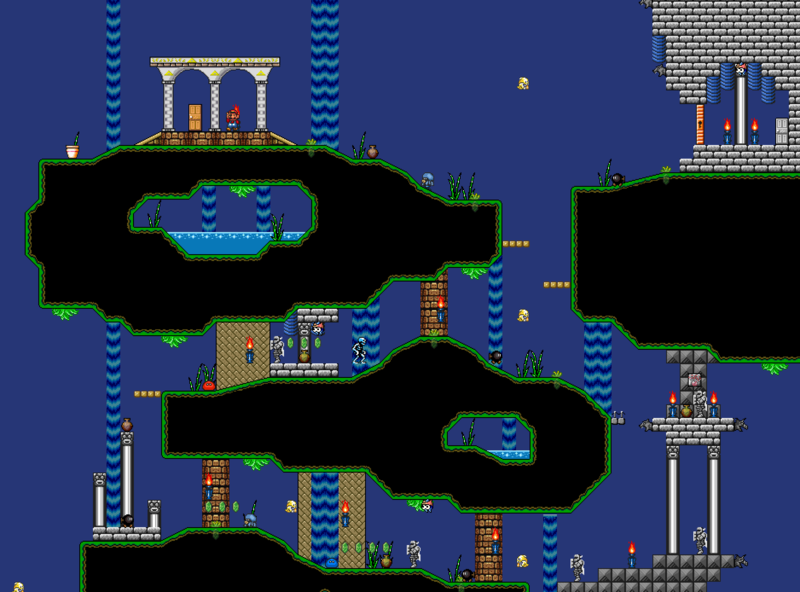 - will have as many levels as a world map project. I Artturer will send you a download of the kit to become level design. Note: make sure you put all 3 star coins, make sure you have fixed all the errors and if you want to put an additional graphic feel at ease! Graphic Designer: To be a Graphic designer you should send some screenshots of your work to the creator Artturer, Artturer will evaluate your graphics and if it is good you become a Graphic designer of the project. 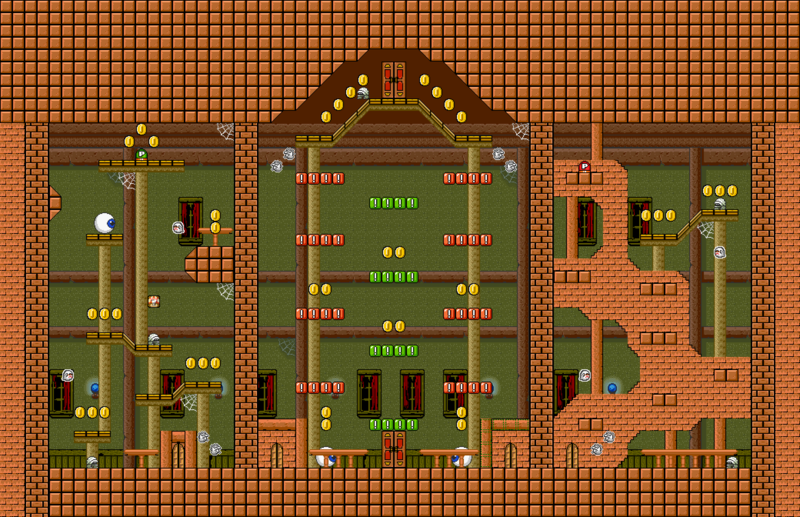 Level Ideas: To give you level ideas you just need to contact me Artturer at discord. Super Thanks for antonioflowers056 to make the videos!!! Put this in your signature! Last edited by Artturer on Sun Feb 26, 2017 8:28 am, edited 32 times in total. Ok I'll fix the sketch ! But it's good on screen? 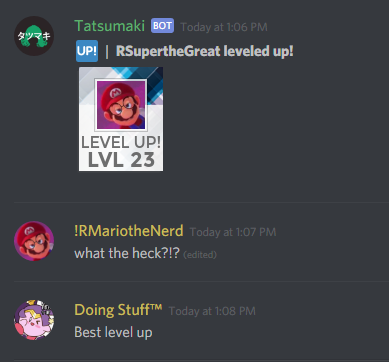 I hope you enjoy the other levels! Last edited by Natsu on Sun Jan 22, 2017 6:58 pm, edited 1 time in total. Oh boy, I love SM63 styled gameplay ! Noice ! 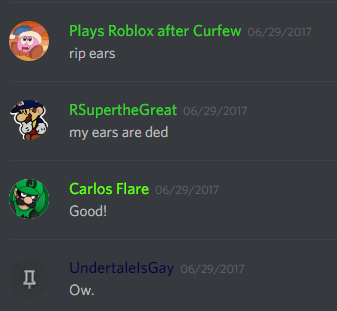 There are a few clash from some screenshot. 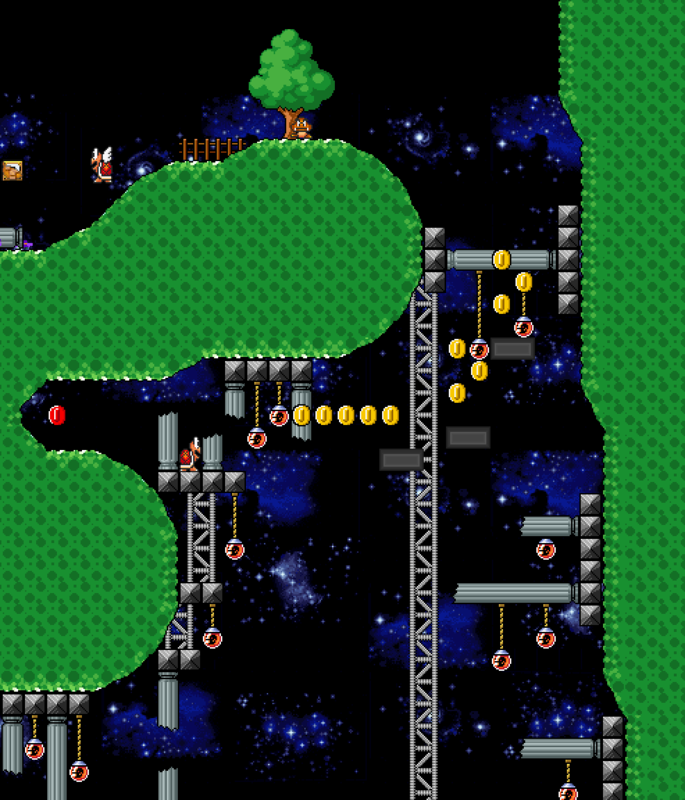 Like the space/galaxy background with the overworld tileset. Wait, I think it fits sorry. 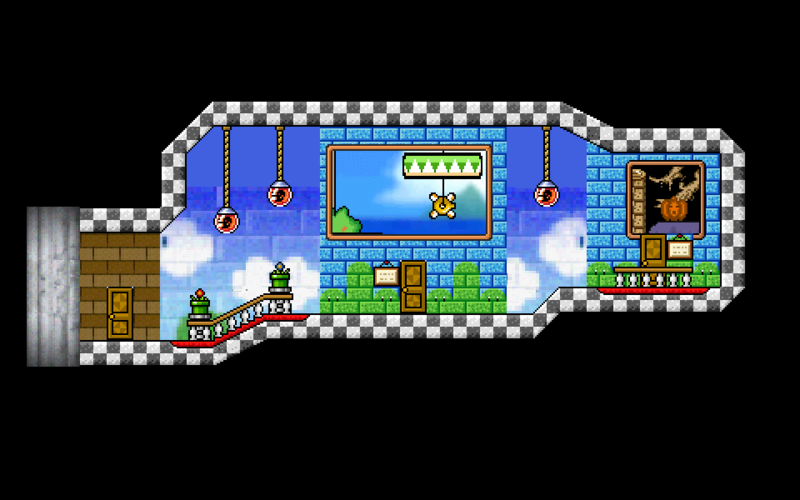 I think I would recommend you to recolor it, make sure you give a credit to the one who did the tilesets. Looks neat! I wanted to join, but i already working in my project project and i'm making levels for other project. AlphaFenix wrote: Looks neat! I wanted to join, but i already working in my project project and i'm making levels for other project. Right! But if you decide to come in, feel free! 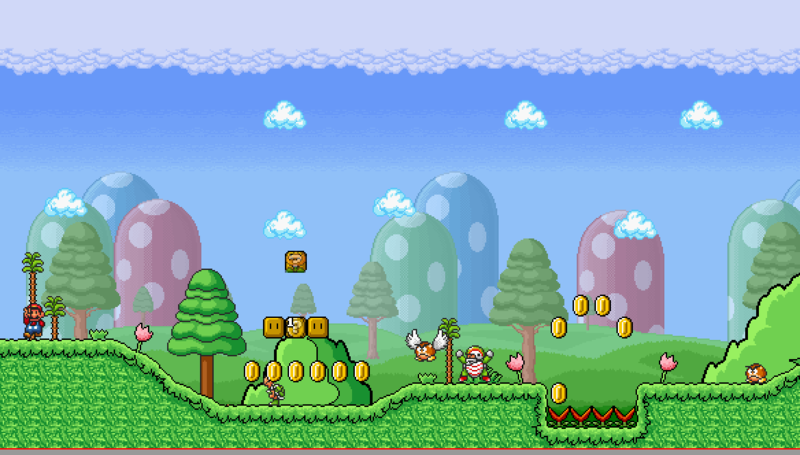 RSuper wrote: make sure you give a credit to the one who did the tilesets. Thanks, I'll put the Credits of all the graphs I used ! Last edited by Natsu on Sun Jan 22, 2017 6:54 pm, edited 1 time in total. 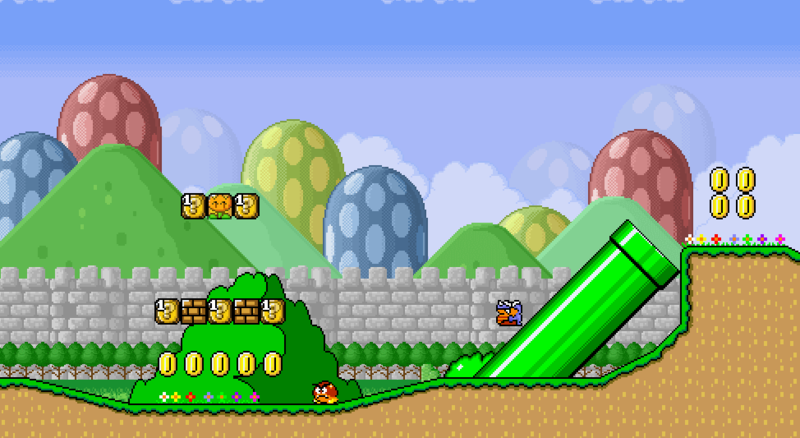 this project is based on super Mario 63. 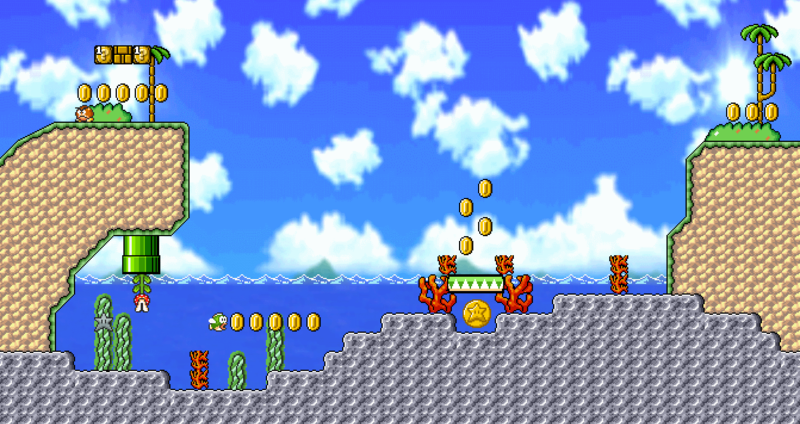 The101MarioGuy wrote: this project is based on super Mario 63. Yes, so some are remakes or are alike! I'd generally recommend adding some more enemies and coins in your screens and spreading some of them that already are there out, since some of the screens are pretty bland, and the background on the haunted forest screen doesn't fit with the rest of the level, but other than that, this has potential. Hope this turns out good! 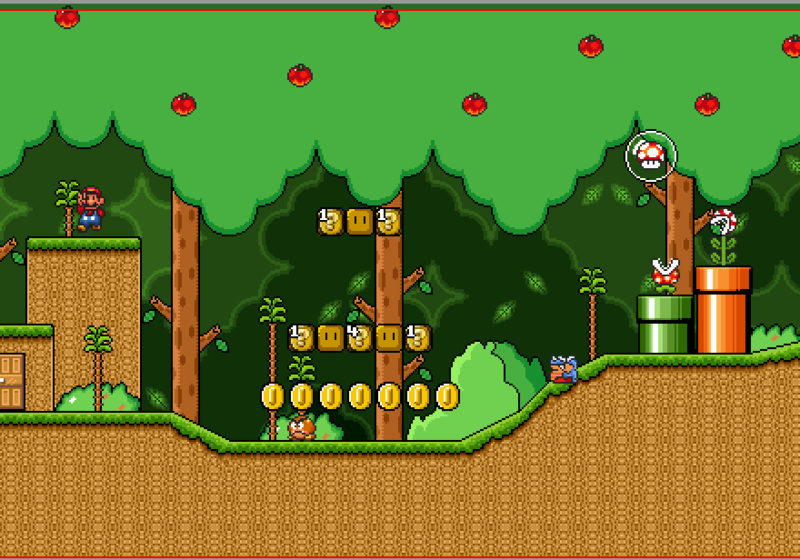 Snessy the duck wrote: I'd generally recommend adding some more enemies and coins in your screens and spreading some of them that already are there out, since some of the screens are pretty bland, and the background on the haunted forest screen doesn't fit with the rest of the level, but other than that, this has potential. Hope this turns out good! 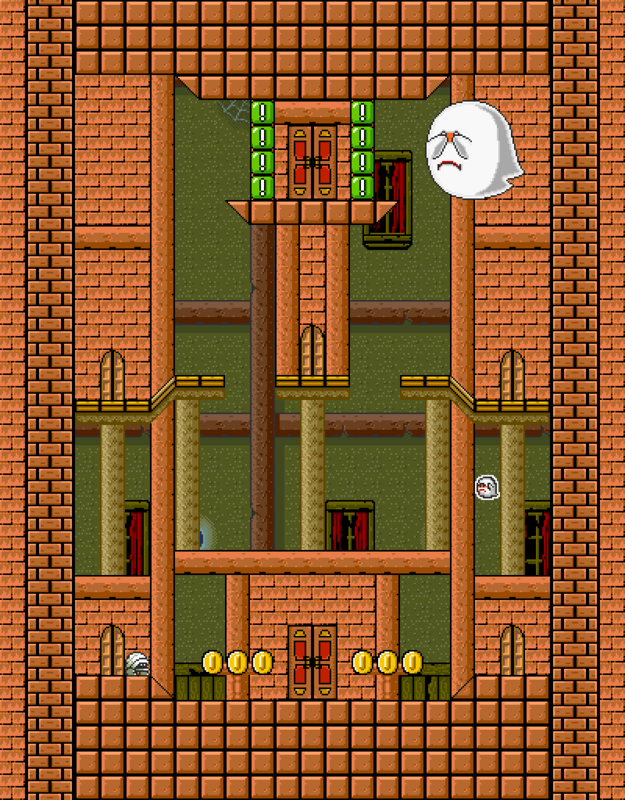 Thank you, some more screens are from the peach's castle and do not need enemies, others are because the levels are easy and do not need a lot of enemies, the other I go mime and put more coins, so can expect much of the project! 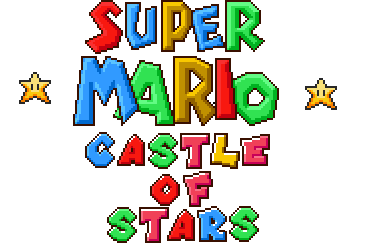 Re: Super Mario and the Castle of Stars (New Logo!!!) Look please!!! I'm glad to see this has a Super Mario 64 gameplay with Super Mario 63 contents, they were both my childhood games. 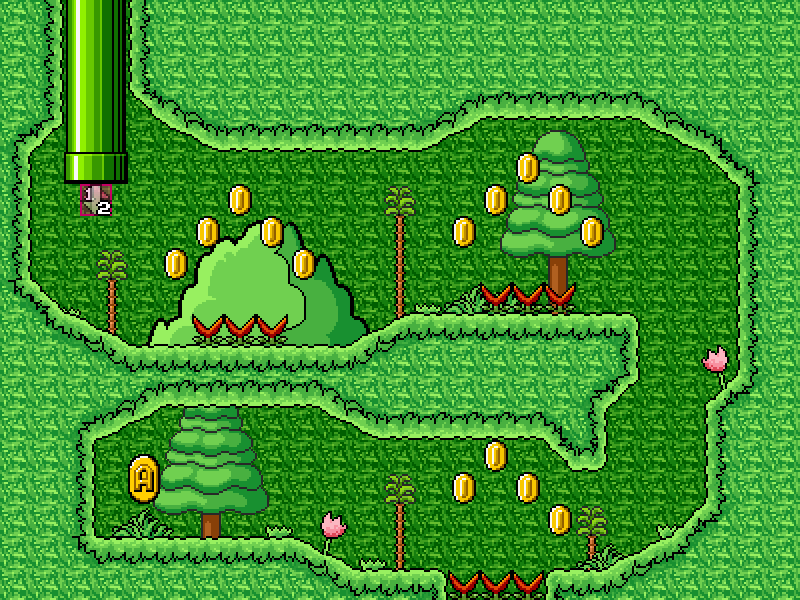 Anyway, some levels have a bit of overused backgrounds but they look AMAZING! 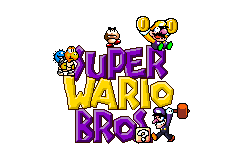 HackPlayer7 wrote: I'm glad to see this has a Super Mario 64 gameplay with Super Mario 63 contents, they were both my childhood games. 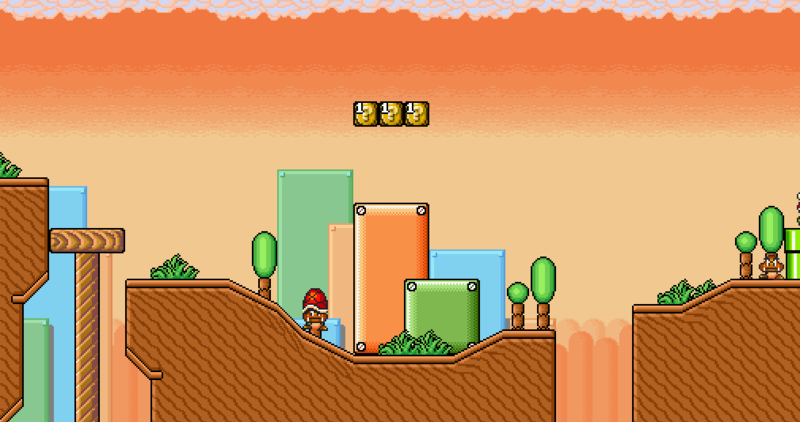 Anyway, some levels have a bit of overused backgrounds but they look AMAZING! Some of the screens look bland cause there aren't a lot of enemies. No matter the difficulty, you should try to spread out enemies in your level to make it feel more alive. Oh really? The screenshots do not show all the level, so you do not know the amount of enemies that I put. But the general areas of those screenshots are pretty bland. 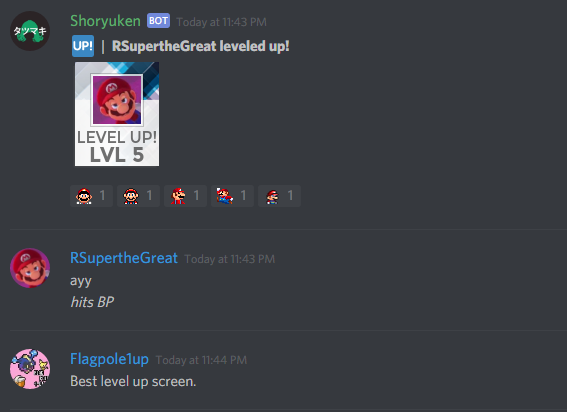 It has nothing to do with the level itself, but rather the area the screenshot was taken in. I'd recommend you put enemies in a way so that they're not too close to eachother, but not too far either. 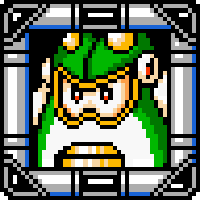 Snessy the duck wrote: Some of the screens look bland cause there aren't a lot of enemies. No matter the difficulty, you should try to spread out enemies in your level to make it feel more alive. 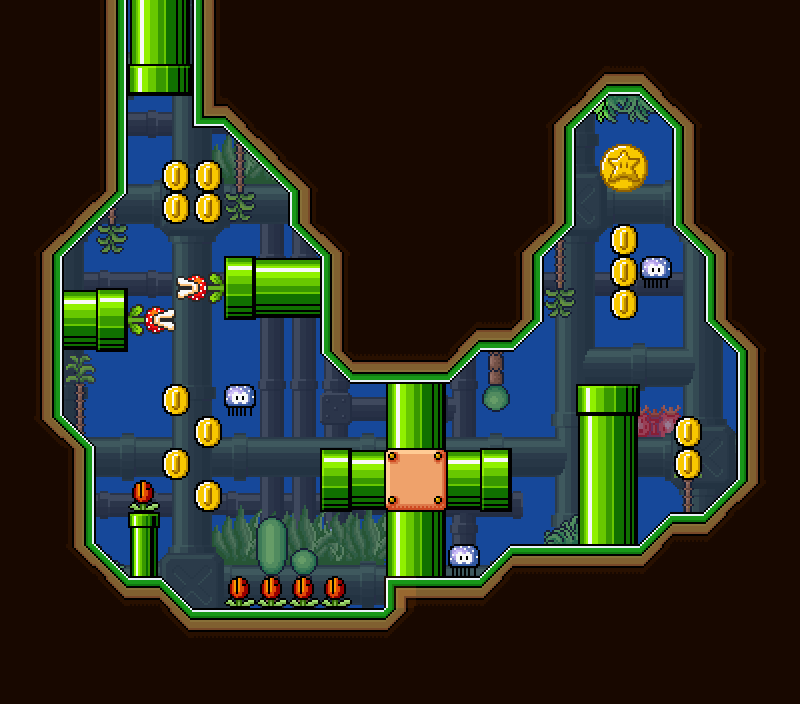 Exactly what is in the other part of the level! 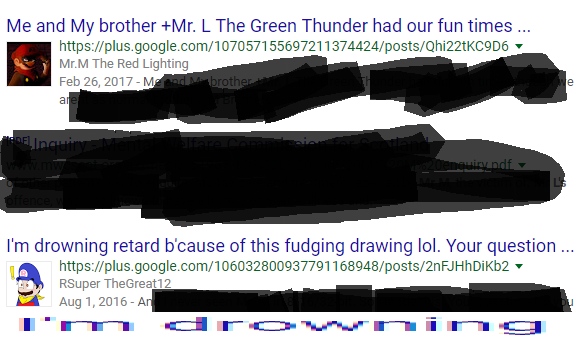 Exactly you should add more to the area of the screenshots. Unless demos are given, then screenshots say everything about your project. 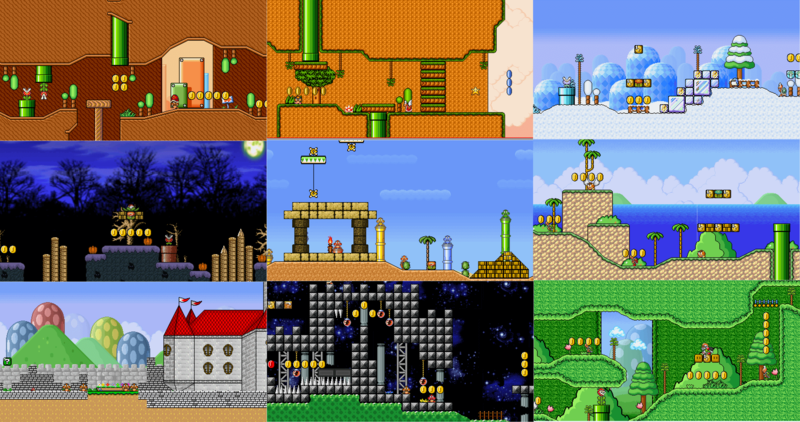 Snessy the duck wrote: But the general areas of those screenshots are pretty bland. 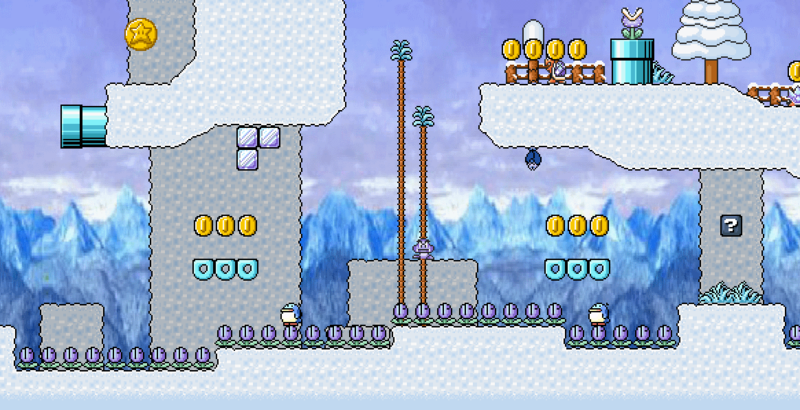 It has nothing to do with the level itself, but rather the area the screenshot was taken in. I'd recommend you put enemies in a way so that they're not too close to eachother, but not too far either. I'm already finishing some level so I'm going to release the demo soon!